Exactly ten years ago, I moved to the US from Shanghai, China, after finishing my public school and college education, and started graduate school at Georgia Tech. I am now a postdoc at the University of Pittsburgh, working with Martin Turcotte. My research is on the eco-evolutionary dynamics in microbial and plant communities. 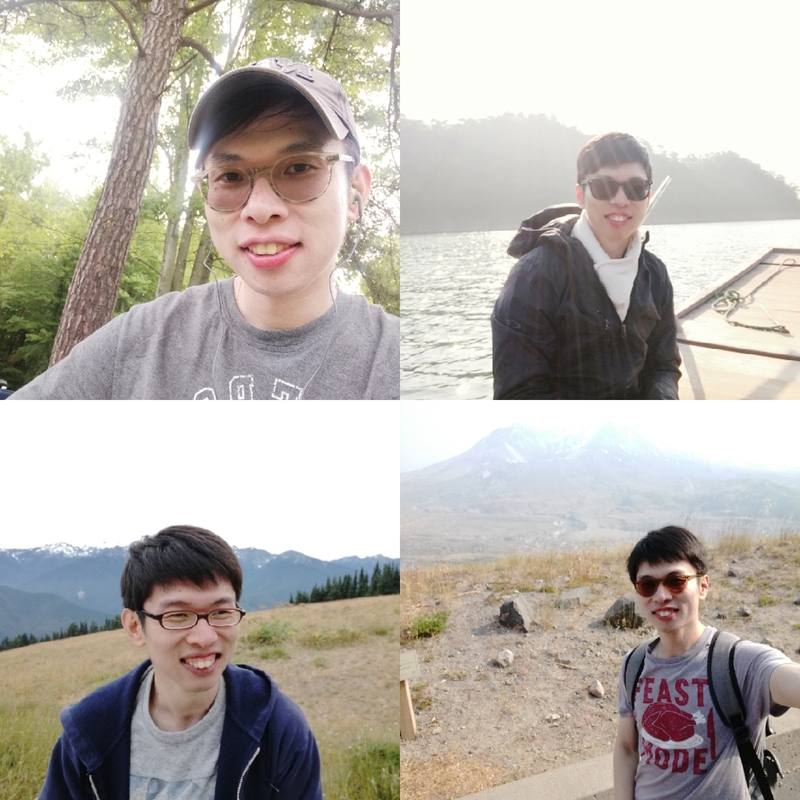 In the past week, I exchanged ideas with friends to write this blog on the challenges for Chinese students to pursue graduate studies in America. Chinese students have recently become the largest international student group in many American research universities. As I talked with other Chinese students, I recognize three unique challenges we have been facing and fighting over the decade that greatly impacted our research and life. We hope this blog would be helpful for newcomers and their advisors and mentors. Communicating in Chinese way or American way? I used to believe that there is only one way to interact with people: “My” way. However, communication in a Chinese or American way is quite different, where the Chinese way involves subtle hints, and the American way is more straightforward. I learned this in a hard way. One of my committee members complained about me ignoring him over the years working together. I eventually realized that Chinese and American start a conversation in different ways. Between two Chinese, the talk-initiator looks at the other person; when that person looks back and the eye contact is established, talking starts naturally. Between two Americans, people begin the conversation by calling other’s name. My name was rarely called in conversations with others; the committee member could not memorize the correct pronunciation of my name. In turn, with no visual sign demanding my attention, I did not realize that he would like to talk to me on many occasions. Over the years, I noticed many such small-but-less-cheerful points; and I intentionally turned to American communication way cautiously like my scientific findings that creatures adapt to the environment. In academic and research communications, our previous education, unfortunately, does not prepare us enough to express ideas effectively. Even though we speak fluent English already, when we land in America, communication problems sneak with us and sprout in the alien cultural environment. One of my friends was criticized by his advisor for being terrible at critical thinking and a slow writer, while we think the culprit was a mismatch in the logic flow of writing. Connectors (e.g., although, because, thus, until, etc.) are key to create clear sentences in English, while they are not essential in Chinese writing. Struggles in applying effective organization skills in writing are essentially a common challenge for us, Chinese students. I would like to share a piece of advice from my PhD advisor, who also came to the US as an international student many years ago. He suggested to me when listening to a seminar and conversation between other people, or reading a paper, paying attention to the organization of the content in addition to the content itself. Taking selfies is quite a Chinese thing. Most of us have a few pictures of ourselves on our phones. These are me, and I am not narcissistic. Whom do we socialize with? I agree with all of my friends that the majority of friends we have here are Chinese, and we are not exposed enough to American culture. Even though we grew up together with American movies, TV dramas, music, when we are completely stuck in America, we are more comfortable hanging out with Chinese friends in spare time. Common social activities differ drastically between Chinese and American cultures. Typical Chinese students do not enjoy social hours, parties, or department retreats here. To be honest, I go to these activities as if they were part of my work. Several reasons make it hard for Chinese students to socialize with Americans. Personally, I am introverted, and it exhausts me to talk to strangers. For others, I heard complaints about not knowing the politicians and celebrities other people mentioned or just the bad taste of beer. One consequence of not being as social as other groups is that Chinese students get less trained at acquiring open public resources. I was not surprised to know that quite a lot of Chinese students had no idea about communication and career development courses and services, which are though not common in China, are available in most American universities. Then, how can we improve our social skills? Most of us agree, with our own experiences, that we should keep going to all the department social events and all those private ones we got invited. We brand ourselves, establish connections with new friends, and improve our interpersonal and communications skills. In addition, I personally recommend we invite people from different backgrounds to activities we enjoy and share our joy. For example, I am good at finding new fancy restaurants. I have made a good number of international “foodie” friends who can enjoy food and talk about science together. Karaoke is a common social activity that many Chinese enjoy. This picture from @dailylifeofahvia describes different Karaoke singers you will meet. No standard answer. What should we do? One stereotype for Chinese students is that we show great interest and even respect to “Standards”. We are eager to find out the standard answer to a test question, the standard routine for an experimental protocol for problems in research, and the standard procedure for manuscript preparation. Many Chinese students are the champions in standardized exams and get accepted by graduate schools like elite athletes. The worship of standards has whiffed illusions between our advisors and us. Some of my friends felt that their advisors were not supportive enough to provide them with standard protocols for our research. In turn, advisors felt they were not so proactive as in learning and research. I learned the “no standard answer” mode in my qualifying exams, one of the biggest headaches for most first- and second-year PhD students. At Georgia Tech, the first part (written exam) of the exam was writing essays on several topics. I was distressed before the exam not only because of the heavy reading and writing loads in my second language, but also the anxiety towards the openness of topics. I recalled one question in my written exam was to discuss the connections between the metapopulation and metacommunity theories. I reviewed all the papers I could remember and argued that they basically dealt with the same issue but at different levels—interactions between subtypes in populations versus between species in communities. Two of my committee members read and commented on my essay. Both of them gave “high pass” on my essay, but with opposite comments. One agreed with my argument and provided me several papers I did not cite for further readings; the other one, however, seemed not happy with my answer and summarized several distinctions between two theories in the comment, making the “high pass” beyond my expectation. That was when I realized that committee members did not have a standard answer in their mind when they wrote the exam, and we were not judged based on a standard answer, rather the ability to interpret the information we have acquired. During my time in graduate school, I found that a simple and standard answer is a rare thing, especially in research. Whenever there is, I ought to find it out myself; share it with the science community. All of my Chinese friends prospering in the US got their own stories of getting out a fixed mindset of standards. We have the thriving creativity inside us. Sometimes, we just need a little bit of encouragement. In this blog, I did not make generalizations over other international groups due to the above-mentioned fact that I have limited social circles. I believe students from other countries are struggling with similar problems emerging from language barriers and cultural differences. We are happy to hear their stories. I would like to thank Na Wei (University of Pittsburgh), Qixin He (University of Chicago), Tianze Song (Georgia Tech), Xia Hua (Australian National University, graduated from Stony Brook University), Zhongyun Huang (Roche Pharmaceuticals, graduated from the University of Massachusetts), and Chenxi Yang (homemaker from Boston, graduated from Brown University) for inspiring me on this blog post. The "no standard answer" explanation is particularly astute. I, and many other North American Profs, aren't looking for the "right" answer to our questions. We are looking for well reasoned arguments - and sometimes we are asking questions with no known answer. After all, it is precisely those types of questions that graduate students need to answer - not the things that are known but the things that aren't known. Thanks for posting this. As a Chinese student in the US, those are definitely some challenges we are facing. I still feel socializing is particularly hard. I consider myself an out-going person in China and I also made some American friends in Grad school. Normally, I am fine with daily English and Academic English. But when people with difference accents are discussing in a loud environment (e.g. bars), I simply cannot understand the contents no matter how hard I try. Also, I am not familiar with many cultural stuff, like singers, beers, movies, etc. So I do not know what's going on in many socializing events. Suggestions for people from US culture: while you are discussing things that might be cultural specific, you can explain to your Chinese colleague, like "Oh, Just in case you have not heard this. We are talking about ..., It is a name of a movie/ singer, it is funny because ..." Or you can ask him/her "Hey, we are talking about ..., do you have similar stories to share?" I am sure your Chinese friend will appreciate your kindness of doing this. Many of us are willing to participate and have stories to share, but a lot of times we simply do not know when and how to join the conversation. Suggestions for Chinese students, maybe just ask " Can you explain what .. means?" However, it is still frustrating if we have to ask this many times.